Born in the Australian Outback, R.M.Williams creates purposefully designed and beautiful footwear, craft and accessories to help enjoy all of life’s adventures. R.M.Williams was founded in 1932 by Reginald Murray Williams. RM - as he liked to call himself - recognized the need for hard-wearing products and was determined to create a boot that could endure the harsh Australian bush. Months were spent adapting a single piece of softened hide into one of the world’s most recognized footwear styles. With an advertisement for ‘Elastic Side Boots’ published in Adelaide’s Chronicle Newspaper in 1934, R.M.Williams the brand was born and the people of the Australian outback started to make their way to 5 Percy Street. The foundations of the R.M.Williams business are firmly built on the spirit of RM, the man. Reginald Murray Williams was a serial entrepreneur who spent his many years inventing, reinventing and perfecting new techniques. He investigated new businesses and markets but remained grounded by his upbringing and experience – he was a man happy with hard work. This entrepreneurial, driven spirit remains at the core of the company culture today. Leaders across the globe are drawn to the effortless style and reliability that is at the heart of the brand, as are some of the most famous people on the planet – actors Daniel Craig and Nicole Kidman and politicians Bill Clinton and David Cameron to name a few. The R.M.Williams brand is and always has been inspired by the remarkable land of the Australian outback, and the people who live there. The brand is active in rural and remote communities, sponsoring key events around the stockman’s crafts and taking boots and clothing to the far-flung reaches of the country with the travelling Longhorn Express truck and store. R.M.Williams supports community activities such as the Australian Stockhorse Association, The Man from Snowy River Festival and the major agricultural shows in each state. R.M.Williams publishes the bi-monthly OUTBACK magazine, telling the great stories of the outback – ordinary people doing extraordinary things, away from the bright lights of our cities. The craftsmanship of the 300-staff boots, craft and clothing workshop in Adelaide is something special and unique. Many of these staff members have a lifelong dedication to the company, and pass their skills down from generation to generation. The classic boot styles incorporate more than 80 hand-held processes, each performed by craftsmen and women with multiple years’ training and an eye for quality and detail. They also produce remarkable hand-plaited belts, made with more than 1000 plaits – a skill handed down from bushmen, to RM himself, and then to the team that crafts the products today. The iconic elastic-sided boot, made from one piece of leather, is durable enough to stand up to the rigours of the outback. 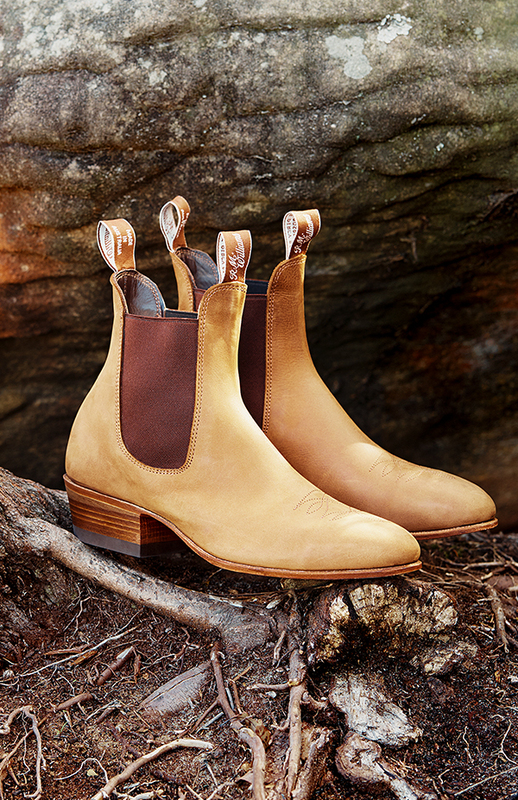 This one-piece leather construction stands R.M.Williams boots apart. Goodyear welting – the strip of leather that runs along the perimeter of the boot outsole – means not only a well-made, durable boot, but also one that can be repaired as good as new with a life expectancy of decades, if well looked after. The simplicity of the design means it can work with jeans in the outback or a suit in the city. From the very early days, RM built his business around making to order. The R.M.Williams museum in Percy St in Adelaide houses RM’s metre-long Remington Rand card machine that dates back to the 1950s, and in which he kept the typed names and addresses of customers, plus their sizes and fabric preferences, long before data-marketing and loyalty programs existed. In keeping with the times, the business is now migrating what was a mail-order catalogue business into a state-of-the-art e-Commerce business, servicing both remote outback customers and international fans. Helping the customer choose the perfect-sized boot remains critical to the enduring success of R.M.Williams. There’s expert staff in store and multiple size and width boot combinations available. Online, customers are given step-by-step instructions to ensure they order the perfect fit for them. Boots are also made to order when a specific leather, size or width combination is not immediately in stock. A new bespoke program will take choice to a whole new level. Customers will be able to design their own handcrafted, elastic-sided boots, right down to the absolute perfect size for each foot, and complete with a personalised message of your choice on the sole. A wide variety of leathers, sole types, stitching colours and elastics will be on offer. Through quality craftsmanship and extraordinary attention to detail, R.M.Williams now gives a piece of Australian bush culture to passionate followers of superior products the world over. Today, R.M.Williams exports to 15 countries, has more than 50 retail stores in Australia and a store in London. In addition, R.M.Williams is available at more than 900 stockists around the globe. 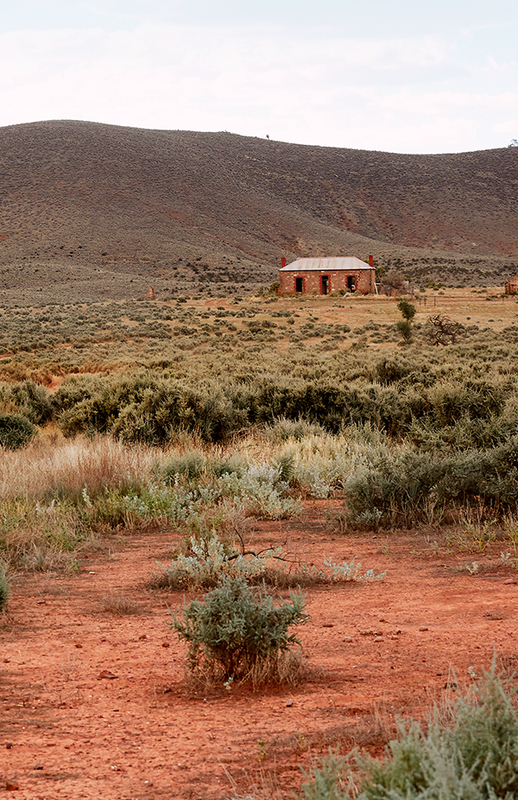 The spirit of entrepreneurship and focus on quality and durability remains part and parcel of the exciting future of R.M.Williams, building on the legacy of one man, and continuing to be inspired by the Australian outback.